In 2014 I did a round-up of five films that were still in production, all films I’ve used and could recommend from experience. It’s proven to be one of the most popular things on the site. Two years later, I’m pleased to say that all five of those films – Agfaphoto CT100 Precisa, Fomapan 200, Fuji Superia 400, Kodak Ektar and Kodak Tri-X – are all still available, some in a range of formats. News of discontinued films keeps the photographic forums busy and makes it sometimes feel like analogue photography is down to the last handful of emulsions; it’s not. So below is a list of five films to shoot with – three of which you can buy right now, and two which will hit stores in the coming months. In fact, one of them was a secret until a few days ago. Italy’s Ferrania made film from the 1920s until the middle of the 2000s – they were one of the early victims of the digital revolution. That meant the end of the Scotch Chrome range of slide films, and Solaris print films. But the Ferrania story, it appears, is not over. In August 2013, the new Film Ferrania company announced they’d return to making film, starting with a re-engineered version of the Scotch Chrome 100 film, available for Super-8 and cine cameras aswell as 35mm and 120. Since then, they’ve raised a huge amount of money to refurb the old Ferrania factory in northern Italy, some of it via Kickstarter. The timetable has faltered of late, thanks to serious flooding and the discovery of asbestos in the factory, but Film Ferrania still intend to release their film in the next few months. In the last week, there’s been some more news to make film fans a little more optimistic – there’s a new brand of black-and-white film, coming not from a leading photographic brand, or even a giant retailer, but from a website. JCH StreetPan 400 comes from analogue site Japan Camera Hunter. Founder Bellamy Hunt has re-branded an old surveillance film made by Agfa. But unlike some ‘new’ films, this is not something that has been given a new bade (I’m looking at you Agfaphoto CT100 Precisa) but a film that has been brought back into production. Hunt says he wanted something that mirrored the contrast and grain of Fuji’s discontinued Neopan 400 film – that’s one of the films I’ve been most upset to see go. Neopan had fantastic contrast and lovely grain – I used to use it for my Soundcheck Sessions project, where I would push it to 6400, and the results were consistently fantastic. Obviously, this is just a smattering of the films still available. What are you using? Let me know by leaving a comment below. Well I never. That was just what I’m looking for today! ‘Pushing’ film is a good concept (although I can only reach 800 on my Olympus-35 EC). I’ve been advised to try other Ilford offerings, with greater contrast being the primary aim. Get investigating, Mike. Ilford HP5 is a great film, but if it’s contrast you want, go for Kodak Tri-X. It’s an incredible film with biting, chalk-and-charcoal contrast. If you’re wanting something for a sunny day, Fuji Acros 100 is a cracker aswell. Grand. Thank you sir. For a sector which is apparently diminishing, there’s still a lot of choices to be made. Not as pushable as trix or hp5 but price is very affordable and quality is quite consistent, and more importantly, dries flat, which is great for scanning. Funny you should say that, I have a roll of Kentmere 400 waiting in the fridge to be used. Film Washi ( http://lomig.fr/ ) check out these super special films! I shoot Arista.EDU 100 (Fomapan 100) a lot in my 120 cameras. Ektar is my favorite color film. Ektar is a fantastic film – I’m going to shoot a lot of it this summer. I was *just saying* the other day that I wished there were a good, inexpensive b/w film option. I’ve heard of the Fomapan but this is the first useful (mini-) review I’ve read of it. I’ll buy some and try some! Hey Jim! Good to hear. I hope you like it. 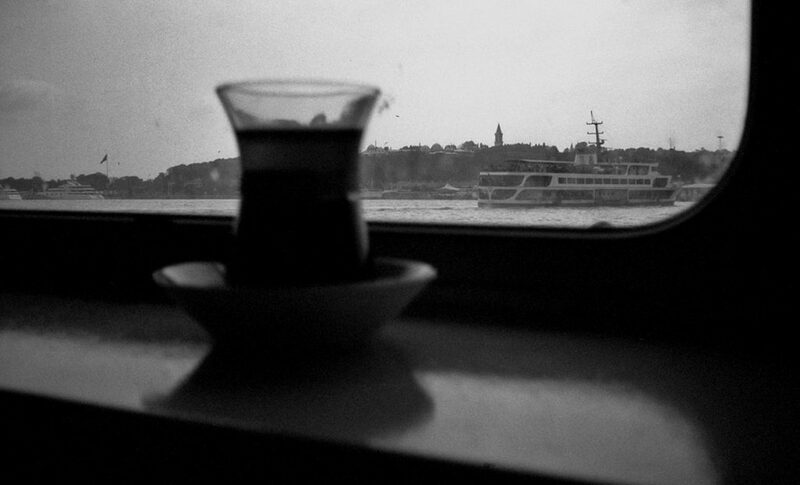 It’s one of my go-to black and white films for Istanbul. 9 lira a roll works out at about £2.15. I usually scoop up 10 rolls of that from my favourite little photo store and hits the streets. Let me know what the price works out for you. It might be cheaper for me to buy it for you in London and send it over. So I did some research last night. Amazon sells it in 36-exp rolls for $4.29. You have to buy $25 worth, but because I have Prime, I get free shipping. And Freestyle Photo sells rebranded Fomapan 100 as Arista.Edu 100 for $3.19 for 24 exp and $3.59 for 36 exp, plus shipping. You’re very generous to offer to send me some from London, and I’m astonished that you would, but it looks like I have viable options here! Wow. Those are good prices. No problem. I would have bought 20 rolls and we could have split the cost… there’s a great lab/film shop here that I think would have done me a good deal. I nearly always shoot on Fomapan 200 pushed to 800 at the moment. It’s got a lovely grain and nice tone even when pushed. I’ve not tried that Tess… interesting. Got any links? I’ve not tried Vista 400 yet – if I’m shooting colour 400, I usually go for Superia 400… I like the reddish tones. Pushing sounds intriguing… I’d like to see results. Personally, I love Ilford’s quasi-Infrared SFX200. It’s a red sensitive B&W film, not a “true” IR, so you can load it with impunity in broad daylight in the field. Combined with a 35A red filter (no exposure compensation!) it gives you some really beautiful, high contrast, grainy results. Thanks Erik – I like the sound of that – that’s a project for the summer. Bellamy`s “Street film” was available as MACO EAGLE surveillance film Two ways of getting fantastic results is: RODINAL “stand development” One hour in 1:100 dilution ( without agitation) and second is ACUFINE 1:1 dilution with once in minute agitation Both of these have fantastic acutance and reasonable contrast. Thanks for the details, Jukka – that’s really valuable for anyone wanting to develop at home. Dunno, considering I paid $70 for 4 rolls of film, but hopefully regular production will be a lot cheaper! Thanks Oriol – that’s quite the shooting list. I’ve always shot Portra 160 at box speed, but I might try this… happy snapping on your travels. Christos – I just ordered 12 rolls of Farbwelt 100 – I’ve never used it before. Looking forward to seeing the results. My most used film is Ilford FP 4 125, although I have some experience with HP5, and Fomapanan 100 and 200. From color films I love DM Paradies 200 and 400, but they are now discontinued. Yes Andy I was wondering like you in this world of Smartphone cameras where does one get their film developed? There are the drugstores that provide a film developing service but will you get the pristine look and finish you took so much time to capture with a low cost processing plant? can anyone reccommend some film developer combinations??? … The ones I used to use don’t seem to be around any more. I’ve resurfaced my rollei 35T and just bought a zorki 4 …. will be resurrecting my rollei 3.5F soon and start shooting 120 again. It’s great to see a lot of old films back on the market . Have a look at http://www.filmdev.org – a near endless supply of (b+w) film/dev combinations to try and lots of linked example of the pictures photographers have achieved using them etc. Over the past year, I have become much enamored with Ilford HP-5+, replacing Tri-X entirely. I think the mid-tones are much better, and I develop it in D76 1:1. You may want to check out Svema FN-64, obtainable from the Film Photography Project store. It pairs well with Rodinal developer. Being a recent film photographer (having started this year for my photography class.) This list makes me happy. I want to try every type of B&W film and color film still in production! I want to show people that though film is near heaven’s door, it’s still lively enough to inspire people who’ve only know of digital photography to try film. I am a Fomapan user, 100 and 400 in 35mm and 120 – great results and reasonably priced – but I do wish that someone would start to concentrate on the slower emulsions at reasonable prices – particularly Polypan F which I loved. It’s good that we don’t forget the amazing quality of several speed and brands in the analouge scene, i recently, last year, got back to it and it forfilling my hobby more than with digital. Working on 35 mm and 120 i use from slow speed, adox cms20, Famapan 100, 200 Ilford FP4+ and HP5+. Did not yet push processing but seen te results i have to go for it. One of my findings the last yearwas the amazing dynamic range of film, detail form the deep dark to the bright lights. Thanks for the great data.